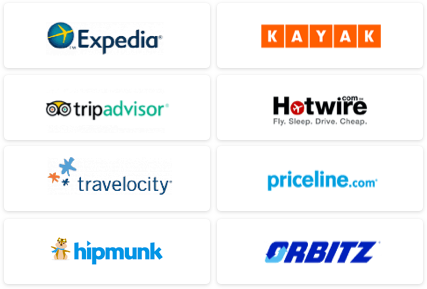 Coupling low airfare with reduced rates at choice hotels and resorts can often prove challenging. So we’ve done it for you with today’s weekly deals round-up. Fly and stay at many favorite U.S. destinations such as Fort Lauderdale, San Francisco, New York, and even Hawaii, for less. Hawaii always pops up on everyone’s list of dream beach getaways. With round-trip airfare from New York to Honolulu as low as $422, check the "Aloha State" off your bucket list this season. If you call Chicago home, fly to the islands for $599. Depart from Los Angeles for $437. Enjoy accommodation in Oahu, home to the state’s bustling capital, at The Stay Hotel for $136 per night in April, saving you 35 percent. The hotel is conveniently located a block away from iconic Waikiki Beach. Looking for Hawaii’s warm weather with a shorter flight? Try out Fort Lauderdale this winter or spring, with round-trip flights from New York for $179. Flights from Chicago start at $222, while Los Angeles departures go for $238. Drive to nearby Miami to experience the city’s energetic nightlife, road-trip down to the southernmost point in the U.S., the Florida Keys, or simply lounge on Fort Lauderdale's white-sand beaches. Travel in March and book a room at the Marriott Fort Lauderdale North for $130 per night (30 percent off). Getting to – and staying in – the Big Apple won’t break the bank either. Plus, if you travel before the popular spring months, you’ll beat the big crowds at all of the Broadway shows, visiting landmarks like the Empire State Building, and shopping on extravagant Fifth Avenue. Round-trip flights from Chicago are as low as $108, taxes included. Depart from Los Angeles for only $200. Once you arrive, make yourself at home at the 4-star Park Central Hotel, conveniently located only a few blocks away from Central Park, Times Square, and the Theater District. Nightly rates are as low as $119, a savings of 30 percent. West coast travel is also available for less this season. Fly to San Francisco from New York for just $216 round-trip. Departures are also available from Los Angeles ($138), Houston ($234), and Chicago ($258). Stay within walking distance of the Fisherman's Wharf at the da Vinci Villa, a boutique hotel in Russian Hill, for $139 per night (25 percent off). Is your home airport or destination city missing from this week’s round up? 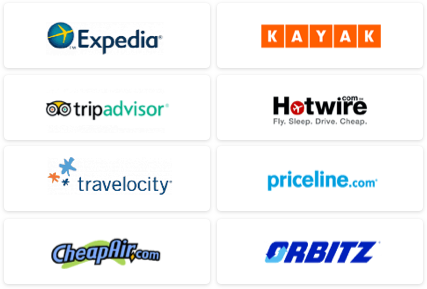 Try using our TravelSearch price comparison tool to find low fares that match up with your vacation plans.